Ccourts • Aggravated murder count could bring death penalty. 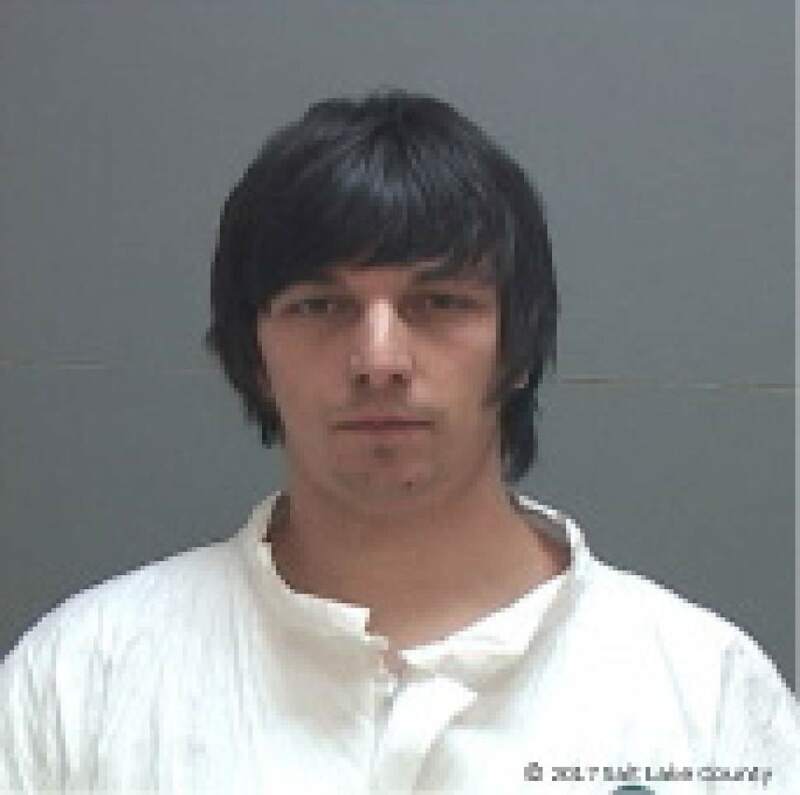 A West Valley City man who allegedly fatally shot his father and injured his grandmother and grandfather with a shotgun and a knife has been charged with murder. Michael Gregory Vandemerwe, 23, was charged Thursday in 3rd District Court with one count of aggravated murder and two counts of attempted aggravated murder, all first-degree felonies. The aggravated murder count carries the potential for the death penalty. On Jan. 24, police were called to a house near 4000 South and 1500 West about 5 a.m. A 67-year-old woman  Vandemerwe&apos;s grandmother  had called 911 and reported that her grandson was stabbing her 68-year-old husband, charging documents state. The young man&apos;s father, 46-year-old Gregory Vandemerwe, was struggling to pin him down, she told dispatchers. Then the woman "exclaimed" that Michael Vandemerwe had a gun, according to charges, and said, "Michael, please don&apos;t," followed by a gunshot, charges say. After the gunshot, she no longer responded to dispatchers. In the background, Gregory Vandemerwe could be heard yelling, "You shot my mom ..." followed by, "Michael, please, please, please," and a second gunshot, charges state. A "short time later," Michael Vandemerwe can be heard saying, "Where you at, huh?" followed by a third gunshot. When police arrived, Michael Vandemerwe exited the home, surrendered peacefully and was taken into custody. Inside, they found Gregory Vandemerwe and the grandmother with "obvious gunshot wounds to their heads," charges say, and the grandfather on a bathroom floor with four stab wounds. The grandparents were taken to the hospital, and Gregory Vandemerwe was pronounced dead. The grandfather told police he woke up to Michael Vandemerwe entering his bedroom with a knife. Michael Vandemerwe stabbed him as the grandfather struggled, according to charges. Then, the young man&apos;s father "jumped onto" Michael Vandemerwe and got him away from his grandfather long enough for the grandfather to get into the bathroom and secure the door. The grandfather heard two gunshots "moments later" and then Michael Vandemerwe tried to force his way into the bathroom, charges say. Police found damage to the bathroom door "consistent with a shotgun blast," but due to stab wounds, the grandfather had not been standing upright and the shotgun pellets traveled above him. Officers found two unexpended shotgun shells in Michael Vandemerwe&apos;s front pocket, and when an officer referred to him as a suspect, Michael Vandemerwe said, "I&apos;m not a suspect. I did it. There&apos;s no question about it," charges say. He told police that he shot his father and grandmother with a shotgun after they tried to protect his grandfather, charges state, and after that he went after his grandfather again but the gun stopped working. Police recovered three spent shotgun shells, a shotgun and a blood-covered knife at the scene, charges state. The shotgun had malfunctioned, charges say. The grandfather suffered four stab wounds  one in his neck, one in his abdomen, one in his left arm and another in his left leg, which damaged a small artery, charges state. The grandmother suffered a shotgun wound on the right side of her face, causing a subarachnoid hemorrhage and facial fractures. Additionally, she suffered a brain shift and had intracranial bleeding, and as of Thursday had not regained consciousness, according to charging documents. "It is anticipated that [the grandmother] will have left-side paralysis and be blind in her left eye," charges state. A medical examiner who performed an autopsy confirmed that Gregory Vandemerwe died of a gunshot wound in the head and his manner of death was homicide. An initial court appearance was set for Tuesday.